Is there a better way to show your devotion than this classic? 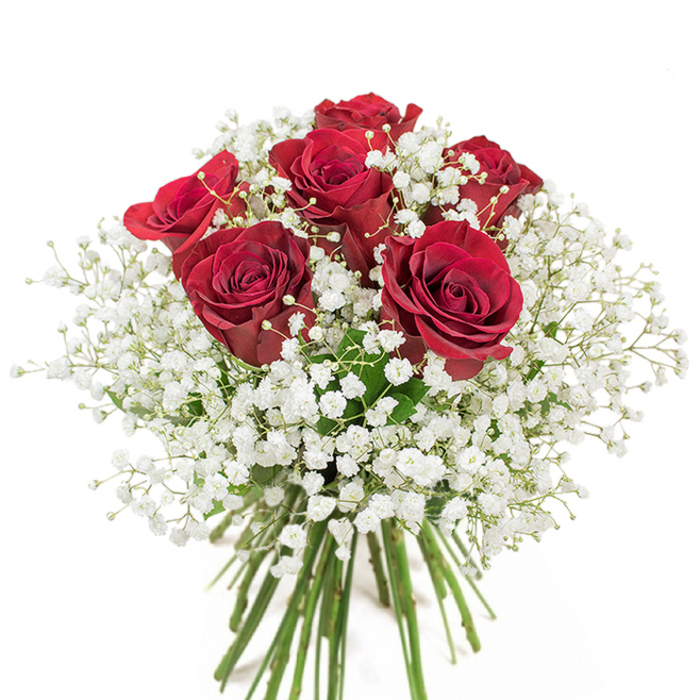 Gorgeous red roses accompanied by white gypsophila would leave your special one breathless. Original Bouquet contains 6 stems. My husband sent me this gorgeous bouquet and I loved it! The roses were super fresh and the white flowers complemented them pretty well. Thanks! 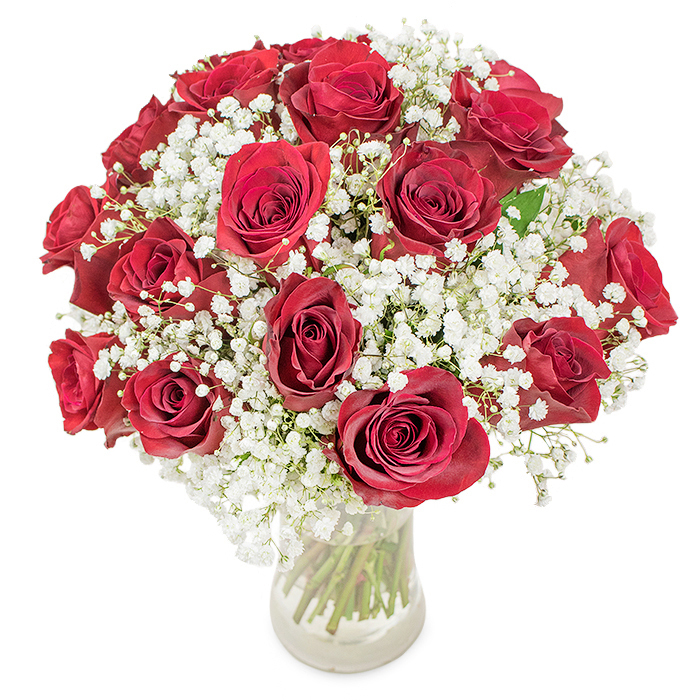 Ordered the bouquet for a close friend in London. The flowers were carefully arranged and delivered safely. Good service. Received these flowers as a gift from my husband for our 10th anniversary. They were carefully delivered and looked fabulous! Liked the bouquet very much! These flowers were delivered as a gift from my son. I really love roses and found this bouquet extremely beautiful. 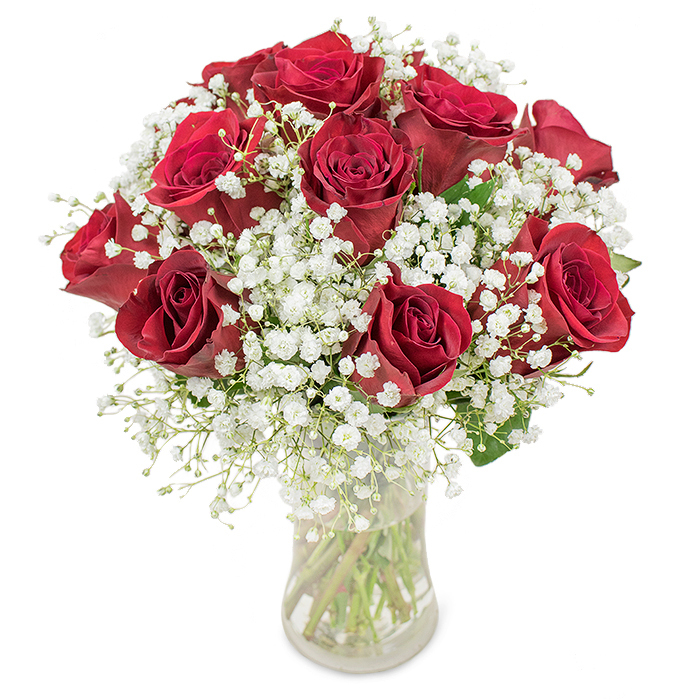 Delightful flowers, fair price and timely delivery. The service that everyone dreams about. I’ll keep coming back to this online flower shop in the future. Their flowers are always freshly cut and beautifully arranged. Recommended! Ordered Forever for our wedding anniversary. My wife was left speechless – she was so impressed with the stunning design and touched by the gesture. It was my first time with Handy Flowers but most definitely won’t be my last. Can’t believe how easy it was to order and how fabulous the flowers looked when they arrived. Great to see the bouquets you are buying are delivered in the same stunning arrangement as the pictures. Ordered Forever as birthday flowers for my friend and she said they were absolutely wonderful and smelled fantastic. The lady I bought the flowers for was really impressed by them – fresh, vibrant and beautifully presented. Needed something to arrive quickly and chose 'Forever' on a prompt delivery service. Got them exactly when I needed them and was really impressed with how good they looked. Haven’t seen the flowers yet but from the description my mother-in-law gave us; they’re just what we ordered. She’s delighted with them and we’re delighted with the efficiency of the service we received. Flowers were great, delivery spot on and service was high class.